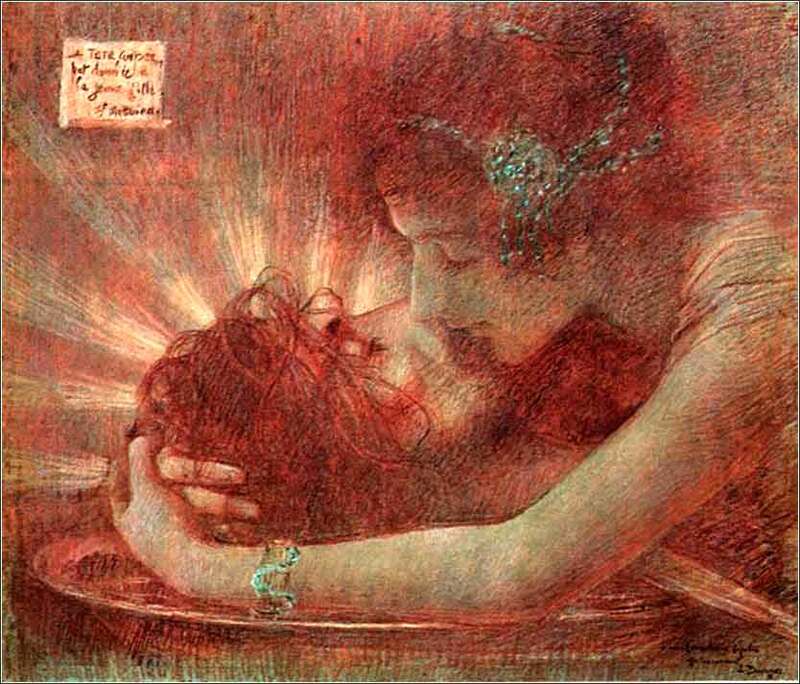 Salome with the Head of John the Baptist by Lucien Levy-Dhurmer, ca. 1896. Dhurmer brilliantly captures the moral sickness underlying John’s execution. We interrupt our scheduled programming for this fabulous clip shown on NBC last Thursday night. Audra McDonald in the role of the Mother Superior. Kudos to NBC for putting something great on t.v. Almighty God, and most merciful father, who commanded the children of Israel to offer a daily sacrifice to thee, that thereby they might glorify and praise thee for thy protection both night and day; receive, O Lord, my morning sacrifice which I now offer up to thee. I yield thee humble and hearty thanks that thou has preserved me from the danger of the night past, and brought me to the light of the day, and the comforts thereof, a day which is consecrated to thine own service and for thine own honor. Let my heart, therefore, Gracious God, be so affected with the glory and majesty of it, that I may not do my own works, but wait on thee, and discharge those weighty duties thou require of me. And since thou art a God of pure eyes, and will be sanctified in all who draw near to thee, who does not regard the sacrifice of fools, nor hear sinners who tread in thy courts: Pardon, I beseech thee, my sins, remove them from thy presence, as far as the east is from the west, and accept of me for the merits of thy son Jesus Christ, that when I come into thy temple, and compass thine altar, my prayers may come before thee as incense. And as thou would hear me calling upon thee in my prayers, so give me grace to hear thee calling on me in thy word, that it may be wisdom, righteousness, reconciliation and peace to the saving of the soul in the day of the Lord Jesus. Grant that I may hear it with reverence, receive it with meekness, mingle it with faith, and that it may accomplish in me, Gracious God, the good work for which thou have sent it. Father, I ask you to help me to be generous when I think of the attitude and actions of others. Forgiving someone isn't an easy option, and I know that forgiveness isn't somehow pretending that something wrong hasn't happened. For what I have done wrong, forgive me Father, to the extent that I am generous in forgiving - or hoping to forgive - those who have done wrong to me. I pray that I may be blessed every step of my path this day by the great God of light. May your sun shine upon me; as the moon moves the tide, may your Spirit move my emotions with every grace and magic; may my heart sing with the voice of your angels and my hearth be warm; and may this and every blessed day You have given me be filled with joy. For Herod had seized John and bound him and put him in prison for the sake of Herodias, his brother Philip’s wife, because John had been saying to him, “It is not lawful for you to have her.” And though he wanted to put him to death, he feared the people, because they held him to be a prophet. But when Herod’s birthday came, the daughter of Herodias danced before the company and pleased Herod, so that he promised with an oath to give her whatever she might ask. Prompted by her mother, she said, “Give me the head of John the Baptist here on a platter.” And the king was sorry, but because of his oaths and his guests he commanded it to be given. He sent and had John beheaded in the prison, and his head was brought on a platter and given to the girl, and she brought it to her mother. And his disciples came and took the body and buried it, and they went and told Jesus. When word of Jesus' miracles reaches Herod, he reacts with paranoia, believing that John has been raised from the dead, i.e., that Jesus is the resurrection of John the Baptist. Matthew uses the incident to introduce a flashback, giving us an account of John's death. Remember in Matthew 11, John's followers came to Jesus to tell him Herod had thrown John the Baptist into prison. 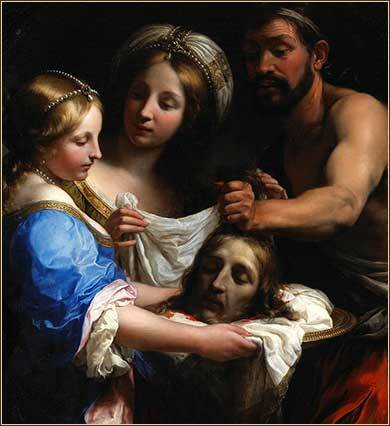 So John must have been beheaded just a few weeks or months before Herod heard about Jesus. We will not try to untangle all of the Herods — there were nine of them, five of which are mentioned in the Bible — but there are two we need to know. Herod the Great ruled Judea when Jesus was born; it was he who slaughtered the innocents, causing Jesus to flee to Egypt. When he died, Judea was split into three parts, each ruled by a “Herod”, but the important one is the one in today's passage, “Herod the tetrarch” (Herod Antipas). He ruled Galilee and was the Herod responsible for the crucifixion of Christ, as well as John's beheading. This Herod stole his half-brother Philip's wife, Herodias. In doing so, he broke two major laws: he put away his own wife without a legal divorce (Deut. 24:1-4), and he married his sister-in-law (Levit. 18:16), both acts specifically prohibited by the law of Moses. John the Baptist — who was a prophet in his own right, as well as the specific prophet of Jesus — railed at the evil of the marriage. So Herod arrested John to shut him up. But he was loathe to kill him, because he feared an uprising from John's followers. We read today of a plot by Herodias to have her daughter, SalomeSalome is not named the Bible. We learn her name from the book Antiquities of the Jews, written around 92 A.D. by a great Roman historian, Josephus. , trick her husband into executing John. It is a colorful drama and has been the subject of many works of art, including a famous opera by Richard Strauss. The moral debasement of Herod and Herodias is compounded by Herod's apparent lust for his stepdaughter. And, even worse, Salome's own mother used that lust to induce Herod into murdering John, by having her teenage daughter perform a lascivious dance for him. We must, at this point, look all the way back to Matthew 1:1 — “The book of the genealogy of Jesus Christ, the son of David, the son of Abraham”. David was the king appointed by God to rule Israel; thus Jesus, his direct descendant, had a legitimate hereditary claim to be the king. Herod, on the other hand, was not even fully Jewish and had no divine right of rulership; in fact, the last of David's heirs to rule Judah/Israel had been deposed in 586 B.C. by the Babylonians. This is why the Hebrews longed for a Messiah: they believed a descendant of David would return as a great military and political leader, to overthrow Herod and Caesar and restore Israel under Yahweh. The Messiah, a direct descendant of David, did come — but He was something utterly different than what the Jews expected! They rejected Christ so vociferously that they eventually demanded his death. In today's reading, however, we see a second, entirely different motive for the crucifixion. Herod is paranoid; Jesus has a legitimate and divine claim to a throne that Herod occupies. So Herod will also want Jesus killed, for entirely different reasons than the entrenched religious establishment. There is an irony in all of this, because the Jewish leadership were in many ways the enemies of Herod. As sometimes happens in established religious organizations, politics reared its unholy head, bringing enemies together in a common cause — the elimination of Jesus.